China’s research industry is booming, but not necessarily advancing, in light of a state report showing that over 80 percent of the country’s clinical trials produce falsified data. The State Food and Drug Administration (SFDA) reviewed over 1,600 trials of new, yet-to-be-approved pharmaceuticals, and found that much of the test data produced in the trials failed to meet analysis benchmarks and in many cases could not even be found. Authorities laid the blame on pharmaceutical companies, medical staff, and middlemen facilitating illicit deals. The corruption in the Chinese pharmaceutical industry—borne of China’s loose regulations and weak culture of intellectual or product integrity—presents a serious barrier to the expansion of Chinese drugs both in foreign markets and in practical domestic development. In March, a Chinese web news site reported the case of a man who made about $6,000 over two years by taking part in dozens of clinical trials. Speaking under the pseudonym Zhou Fei, he described the multiple ways to get around the requisite qualifications to be a subject for new tests. If his white blood cell count exceeded acceptable levels, Zhou would donate blood before taking part in trials to normalize it. He would cover up needle marks from previous injections by applying cosmetics, or use other people’s’ urine. Of course, fraudulent testers like Zhou exist only because of insiders within the system itself. Zhou reported being able to get into some trials with other people’s identification; even if the nurses carrying the tests could tell what he was up to, they turned a blind eye to the impersonation. Corruption penetrates to the highest levels. In June 2007, SFDA director Zheng Xiaoyu was executed for accepting nearly 6.5 million yuan (about $1 million) in bribes from eight pharmaceutical companies. Most of the 150,000 types of drugs approved under Zheng’s watch, from 1998 to 2005, were from those eight firms, and many had proven unsafe. One kind had killed 40 people in Panama; another is known to have caused 14 deaths and hundreds of paralysis cases in China. Fraud—and resulting harm done—has continued, despite new laws and other measures implemented starting in the year of Zheng’s execution. A survey by Chinese Journal of Clinical Pharmacology and Therapeutics in 2013 said that 85.7 percent of medical institutes had problems in collecting their clinical trial data. In November 2015, the SFDA named five tertiary hospitals in China for fraud in clinical trials. Tertiary hospitals are the biggest in China’s three-tier system, and are where much of the country’s clinical research is carried out. China has advertised itself as a destination for clinical development and attracted some foreign partners. In 2013, U.S. pharmaceutical companies Pfizer and Bristol-Myers Squibb saw their drugs delayed for approval because the U.S. agency found data irregularities. In some cases data was found to have been tampered with at a clinical trial site in China, as reported on FierceBiotech.com. 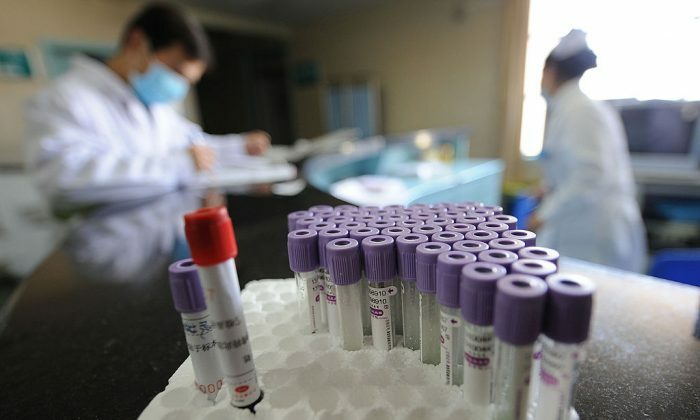 A local government website in Ningbo of Zhejiang Province in southeast China reported that pharmaceutical companies had colluded with contract research organizations (CROs) to carry out clinical trials on behalf of on-site clinical research coordinators (CRC). In the report, Mr. Liu, a CRC working at a tertiary hospital, said that pharmaceutical companies would tweak the results of patients who failed physical checkups in order to get a bigger pool of test subjects for clinical trials. At the same time, they would disqualify healthier patients from the pool to “increase” the drug’s effectiveness. Competition among CROs also made results from clinical trial unreliable, according to the Ningbo report. Mr. Wu, a CRO employee, said they would commit fraud just to save on experimentation costs and be able to offer pharmaceutical clients lower rates. As for professional test subjects, like Zhou Fei, they can often find clients through middlemen. NetEase, a Chinese news site, reported about Li Daming, one such broker operating on the social media platform WeChat. Li would match testees with different ongoing trials depending on the desired physical attributes, and said he had a database of people with their height, weight, BMI, and their drug use habits. One group based in Beijing at 500 members. According to Zhou Fei, there were at least five such groups in Beijing alone. For fake test subjects, the work is not without its risks. A man from Shandong using the pseudonym He Lihu told Sina of a trial in which he was supposed to receive three injections for anti-cancer drug, but was forced to stop when his heartbeat became irregular. He was nevertheless paid 10,000 yuan (about $1,500) for the test.